Come join us for an instructed watercolor painting class. We’ll be working on a simple object study painting and help with drawing will be provided so don’t worry if you “can’t draw a straight line.” Come learn how to build up thin layers of color to create vibrant , sparkling images filled with light. All materials are included. 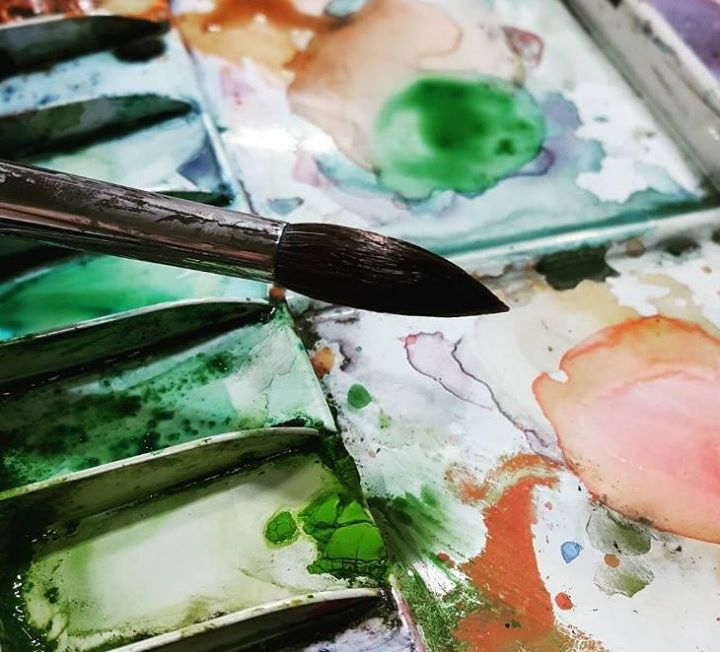 We’ll be mixing things up a bit with a few non-traditional watercolor painting techniques to get you adding a whole new level to your paintbox of tricks. From special masking techniques and a washout trick you’ve never seen to mixing medias, this short workshop is sure to give everyone something fun to use later on in their own work. From Itaewon Station (line #6 in Seoul) Come out exit 3 and make a U-turn. Turn left at Olive Young Walk straight past Taco Bell for about 10 minutes. Turn left after Tous les Jours Bakery. There is a supermarket on the corner (한가람마트). Jankura Artspace is on the 4th floor of the building on the corner. There is Hilltop Dental and a doctor’s offices on the 2nd and 3rd floors. 이태원역 3번 출구로 나와 출구 반대방향으로 ? 턴한 후 삼거리에서 좌회? ?하세요. 타코벨을 지나 7-10분 가량 직진하세요. 뚜? ?주르가 나오면 바로 앞의 삼거리에서 좌회? ?하세요. 한가람마트 건물 4층에 위치해 있습니다.